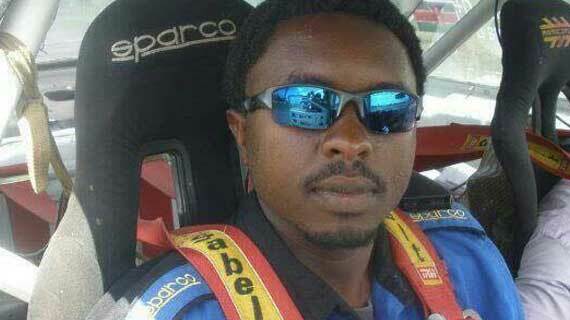 The Kenyan rallying fraternity is reeling in shock and disbelief following the death of Steve Mbuthia Wainaina who passed away this morning in a motor accident at Thika Road flyover. Steve was a navigator and scrutineering in Kenya National Rally Championship (KNRC) events. Being an all round sports personality, Steve also played golf at Thika Sports Club. He was an avid follower of professional golf. The soft spoken navigator made up the team of scrutineers who worked under KMSF Chief Scrutineer Musa Locho. When not calling the pace notes, Mbuthia navigated a number of KNRC drivers among them Edward Maina in his quest for the KNRC S Class championship aspiration. Mbuthia was a member of Rallye Sports Club and a student of Abdul Sidi Rally Academy. Kenya Motor Sports Federation Chairman Phineas Kimathi was among those who condoled with the family of the fallen navigator as the rally fraternity sent out messages of condolences. "My sincere condolences to the family of the late Steve. May his soul rest in eternal peace," said Kimathi. Two Wheel Drive competitor Sammy Nyorri said: "So sad. It's like a bad dream. So young and energetic, always willing to go that extra mile to assist. RIP bro." KMSF's head of scrutineering Musa Locho said: "I Woke up to receive the sad news early this morning. We have lost such a young energetic blood, so committed to motorsports in every way. Was my assistant in many events and so willing to learn and help. Will miss him dearly. RIP."